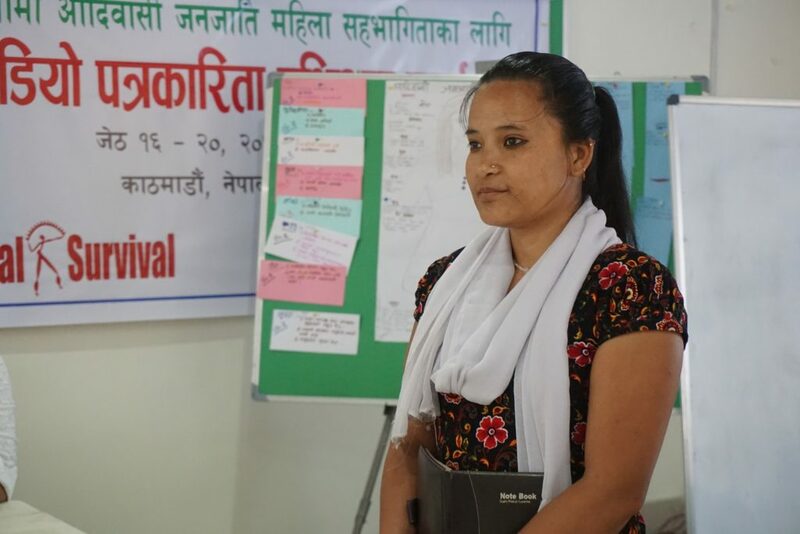 Nevertheless, young women are committed to paving the way for Indigenous women in Nepal, who are determined to have their voices heard, and to bring women’s issues to the public realm and advocate on behalf of their rights often against the status quo. Over the course of the five-day workshop, participants learned about a vast array of topics ranging from basic journalism and the role of community radio to field reporting, news gathering and news writing, Indigenous women’s history in Nepal and the current tragedy of human trafficking, to technical skills such as program formatting, editing, and mixing. Cultural Survival’s Community Media Program partners with Indigenous media producers who are amplifying Indigenous voices on issues that matter to their communities. Radio’s universal and free nature and its ability to access many remote communities makes it a key medium to reach Indigenous audiences. Indigenous-produced programming strengthens Indigenous peoples’ capacity to claim their rights and enables access to essential information and broadcasting in Indigenous languages that ensures widespread understanding and cultural continuity. Kumar Yatru trains women on newswriting for radio. Sangeeta Lama, an Indigenous woman journalist with more than 25 years’ experience in the field, motivated participants with her story of overcoming adversity and rising to the top of the journalism field in Nepal. “People don’t get involved in radio because they are pressured to . . . it is a passion, it comes from within,” she said. For Indigenous women, there are many barriers to overcome. In Indigenous communities in Nepal, a woman’s reputation is placed under fierce scrutiny; something as minor as sitting in a coffee shop to conduct an interview with a male figure can have grave consequences for a woman and her family’s reputation. In addition to cultural constraints, there are also security concerns for women journalists. Commuting to and from the radio station early in the morning and late at night, conducting interviews with men, and travelling to unsavory places to conduct interviews can be dangerous for women in the field. For Palpal Moktan Tamang, participant from Radio Kairan, these two barriers are often compounded. “It is a very long and potentially dangerous walk to and from the radio [station], so walking with a male colleague is necessary, but it isn’t acceptable for women to walk alongside men in public. I try to use the radio to open the minds of the villagers to these realities, but it is difficult,” she said. Lama asserts that this career choice is not for the weak willed. “It will take plenty of hard work, plenty of resistance against the status quo and plenty of perseverance and persistence over a long period,” she says. Ful Kumari Tamang and Gauri Thami present on the issues for different ethnic and caste groups in Nepal. Luckily there is no lack of will for the women in this group. For many, working in their community stations has been a lifelong aspiration. 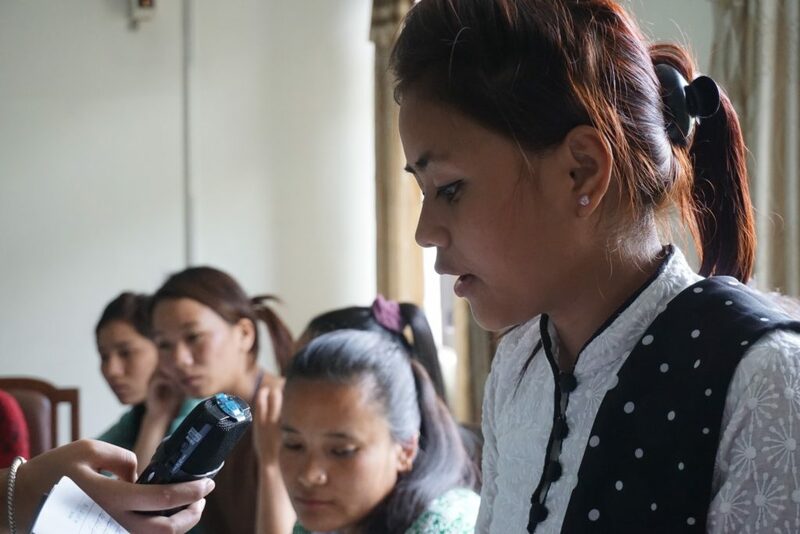 For Asmita Ghising Tamang, having her own Tamang radio program has been a dream ever since she listened to a local Tamang radio station as a child and was inspired by literature programs in her native language. She was in seventh grade when she first started writing poetry, songs, and stories. “I always knew that I would make a great radio broadcaster, but I just didn’t have the skills or the training. Now I know that I can do it. I’ve already filled out an application at the [station] in my village, and once I’m done here I’ll go back and show them my diploma,” Tamang said. Asmita Ghising Tamang reciting her poem about women’s rights for the participants at the workshop in Kathmandu, Nepal. Satisha Suwal, Radio Janasanchar, Bhaktepur, Nepal. The participants in the workshop are women bringing about just this type of change. They are women who refuse to be limited to traditional roles and believe in their ability to break barriers, using radio as their tool. However, filling the void of professional women journalists available to work in radio is only half the battle. Another challenge is making radio a space that is inclusive of women, not just in the lowest positions, which they typically inhabit, but as journalists, station managers, and members of the governing bodies that make decisions about station programming and policies. 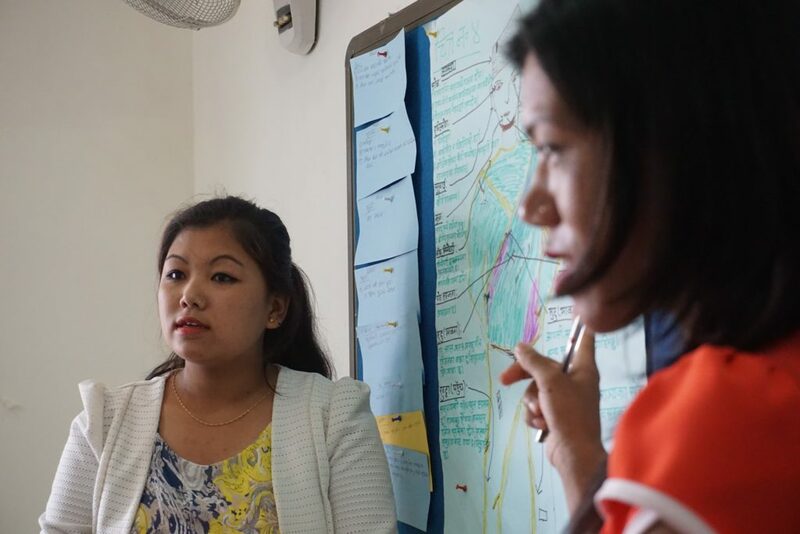 Although there is a long road to equality for women in community radio in Nepal, four community radio stations funded by Cultural Survival’s Community Media Grants Program, took crucial steps to create more inclusive spaces for women in community radio. 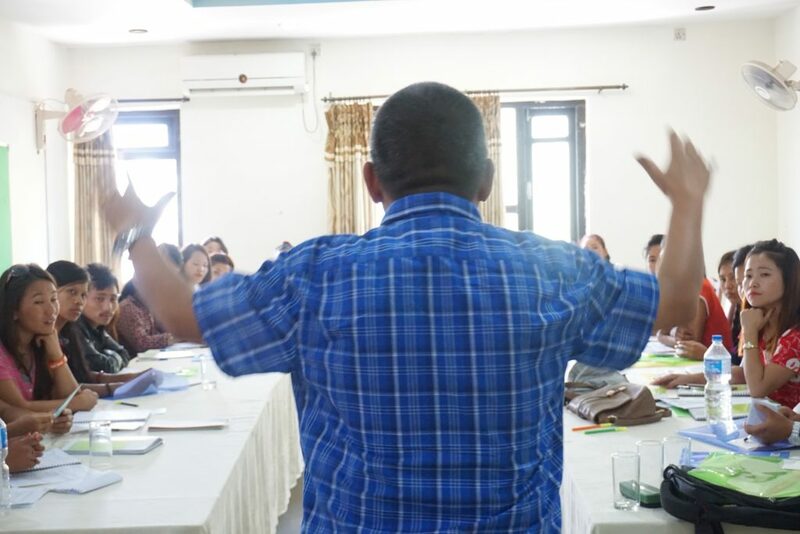 Radio Kairan, Radio Sumatlung, Radio Likhu, and Radio Namobuddha took part in a two-day workshop aimed at developing policies for gender equality and social inclusion at their community stations. Through it, the women succeeded in attaining short paid maternity leaves, quotas for women’s participation in leadership and broadcasting roles, and responses to security issues, among other victories. 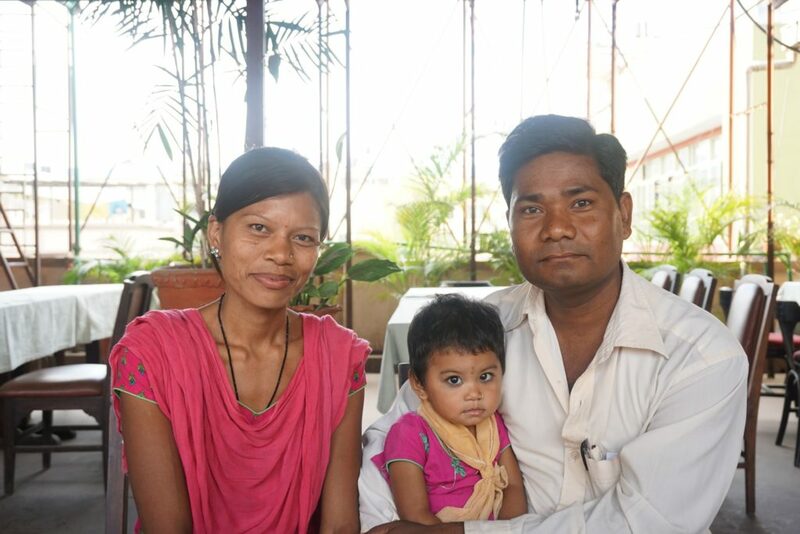 Sachita Singh Tharu with her husband, Sambu Chaudhiry, and daughter, Bhawana. However, having written policies and women trained in journalism are only the first steps. Sampoda Yangyun, a participant who was accompanied by her 8-year-old on, highlighted how discouraging community radio can be for women. “They said I had a very nice voice, but that as a mother, I don’t have the time or the training to do what it takes to be a journalist.” She explained that with this training opportunity, she is confident that she will prove that she can do the work, and perhaps the station managers will be willing to give her a shot. Significant changes in gender equality and view on women as journalists need to take place for women to truly succeed, and these women feel confident in their role in playing a key part in this change. Women’s workshop participants after receiving their diplomas. Top row (from left): Sumi Darlami, Suchana Tamang, Angelica Rao, Menuka Kumari Shrestha, Sampoda Yangyun, Soita Devi Sunuwar, Sachita Singh Tharu, Sharmila Sunuwar, Keshang Lama Bhote, Asmita Ghising Tamang, Anita Chaudhariy, Bimala Sunuwar, Roshani Danuwar, Sunita Thami, Sarmila Moktan, Ful Kumari Tamang, Jagat Don, Satisha Suwal, Bawani Kumari Gurung, Dev Kumar Sunuwar, Laxmi Maharjan. Bottom row (from left): Gauri Thami, Pal Pal Moktan Tamang, Bidhya Tamang,Sonam Yangji Sherpa, Prem Kumari Tamang, Sujana Saru, Dolma Rai, Bikram Rai. Angelica Rao is Executive Coordinator and Community Media Program Coordinator for Cultural Survival.